Chyulu Hills National Park Kenya is a magical land of black frozen lava studded with blazing red-hot poker trees; of shoals of extinct volcanoes wreathed in dense forest abs hung with Spanish moss, the Chyulu hills coil a sleeping dragon on the lion– gold plains of his treasure. The pink haloed peak of Mount Kilimanjaro rises to the west and all around stretch the mirage miles of Masai land, dusty, dry and stalked by scarlet cloaked herders and dust plumed cattle. 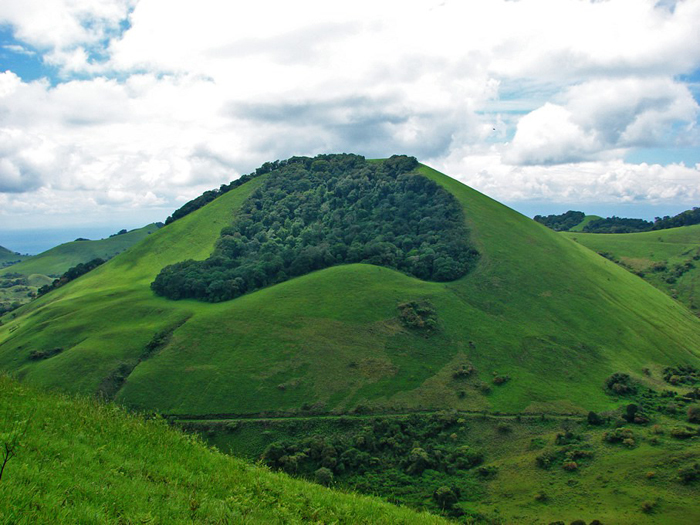 Chyulu Hills National Park comprises the eastern ﬂanks of Chyulu Hills including about half the forest area. The park boundary runs down the centre of the hills along the lines of the peaks. The remaining western portion of the hills is part of the west Chyulu Game Conservation Area and owned by several Maasai Group ranches. 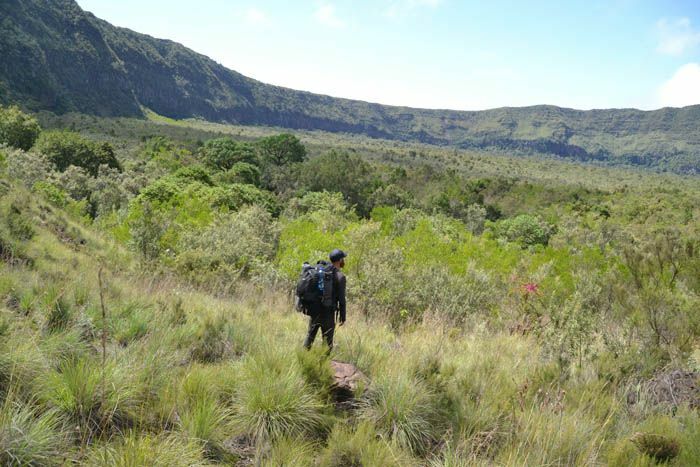 Chyulu is a rugged wilderness still showing signs of its volcanic origins. Some of its volcanic eruptions occurred as recently as 240 years ago. Ancient and new volcanic cinder cones and craters dot the landscape with black lava flow spilling down their flanks. Chyulu Hills has no surface rivers, yet it is a vital catchment area for Mzima Springs and the Tsavo and Galana Rivers. The porous peaks of volcanic ash, enables them to trap rain from moisture-laden winds. All that rain soaks into the sponge-like ash and percolates down until it hits impervious bedrock and begins an underground journey to Mzima Springs, some 25 miles away. The numerous lava tube caves, collectively known by the local community as Kisula Caves, criss cross the depths of Chyulu Hills. The Upper Leviathan Cave has been extensively explored and at 11.5km long, and has been established as one of the longest caves in the world. Getting to the caves from the park entrance will involve a 15km hike through rugged wilderness that should take you three to four hours one way. The route is also motor-able the whole way – an option if you want to avoid the long hike. 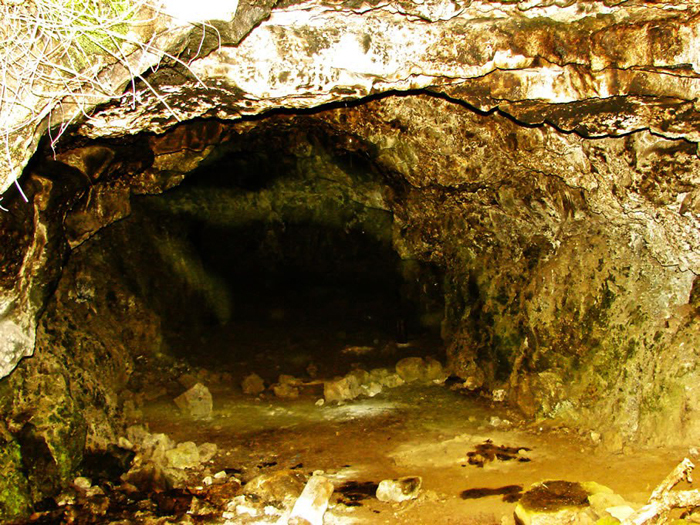 Chyulu Hills National Park boasts some of the deepest known lava tube caves in the world, a feature that has placed the park on the world map, especially among geologists and volcanologists. 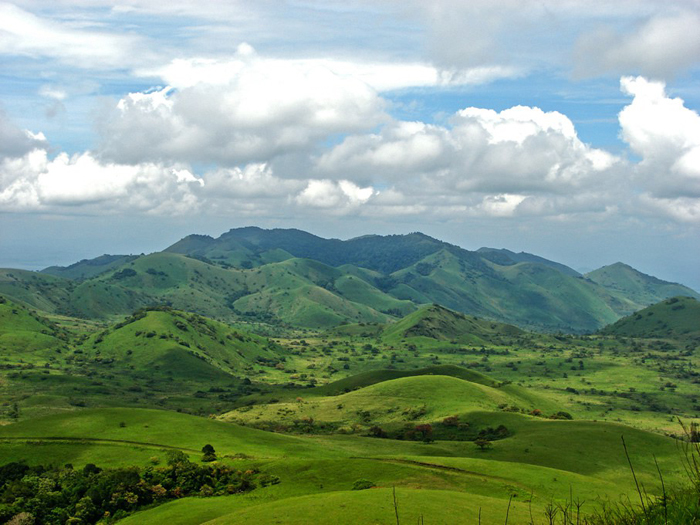 The Chyulu Hills offer the quintessential African landscape experience and more. Far to the north-west lies the elephant country of Amboseli. Volcanic summits of Tsavo National Park recede over the horizon while straight ahead, straddling the Kenya/Tanzania border looms the splendid vista of Mount Kilimanjaro. There are no set hiking trails on Chyulu Hills, however numerous animal trails crisscrossing the park provide convenient routes to take as you explore the wilderness. With the mountain range spanning over 100km from one end to the other, you will be spoilt for choice for areas to hike. Unlike some mountain ranges where you encounter dramatic cliff drops, the Chyulus provide a gentle gradient, suitable for the novice hiker. Chyulu is a vital dispersal area – a corridor for animals that live in Tsavo and Amboseli. The park shelters a wide variety of wildlife which includes the critically endangered eastern black rhino, the cheetah, antelopes such as gerenuk and lesser kudu, huge concentrations of plains game such as wildebeest, zebra and eland as well as elephants which normally wander in from neighboring Amboseli. 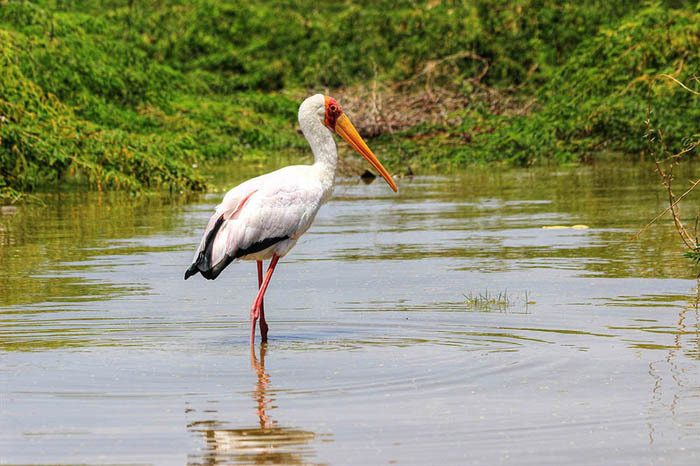 The park is also home to a variety of bird life with an especially excellent bird watching site in Lake Jipe in the south-west corner of the park. The lake is fed by run-off from Kilimanjaro and the North Pare mountains. It is bordered by extensive beds of Typha and has large permanent swamps at its eastern and western ends. 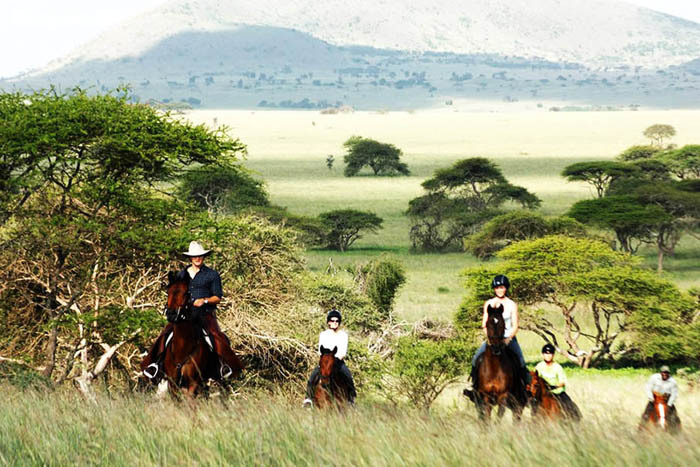 Marvel at the voluptuous backdrop of Chyulu Hills while riding on horseback. Horseback riding also offers a distinct and unobtrusive way to view wildlife, in that the wildlife see you as just another animal in their environment. If you have a tent, you can pitch on selected campsites. Facilities at the campsites include tap water, a sheltered kitchen, toilet and a shower. The western portion of the hills is part of the game conservation area that includes luxury lodges owned by several Maasai group ranches with the money raised from tourism helping to maintain the environment and traditional Maasai way of life.